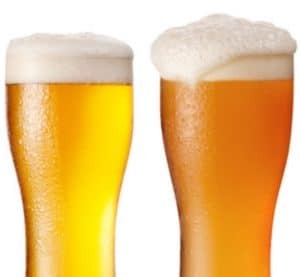 Lager vs Ale: What's the Difference Between These Beer Types? Have you ever wondered what the difference between lager and ale is? In the vast and infinitely varied world of beer, there is a multitude of varieties and flavors. Any two of these could be as different from each other as any two beverages could be. But perhaps the most common of these are those we will discuss today. 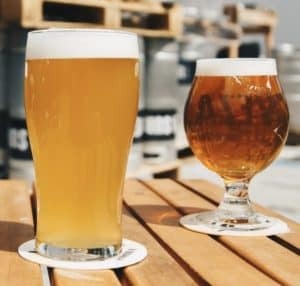 Lager and ale are actually two distinct-looking and distinct tasting brews, each of which has its own characteristics, brewing method, and history. If you have ever wondered what the differences are between the two, this article will prove to be quite revealing. 1 What is the Difference Between Ale & Lager? 1.5 E. Any Other Differences? What is the Difference Between Ale & Lager? The main difference between ale and lager comes down to the type of yeast, fermentation temperature, color, and taste. Ale is usually darker in hue, and taste more fruiter and bitter. Lagers tend to have a light and clear appearance and the flavor tends to be smoother and sweeter. However, there are several other factors that have to be considered when distinguishing the different types of brews around the world. Brewer’s yeast is, of course, the most important factor. In fact, ask any beer aficionado what the main difference is between lagers and ales, and it will likely come in at the top of the list. Generally speaking, ales are brewed with top-fermenting yeast, while the lager beer is brewed with its bottom-fermenting kind. Both are actually dispersed throughout the fermentation vessel during the brewing process. But at certain stages, each will be more noticeably present at the top or bottom, depending on the ingredients used. The top-fermenting yeast used in ale production is known as Saccharomyces cerevisia. This is a fairly common type that is also used in making wine and bread. Its hardy kind is better able to withstand a wider range of temperatures and a higher-alcohol environment. These qualities have an effect on the alcohol content of ales, as will be explained later. “Bottom fermenting” isn’t an entirely accurate term, as this particular ingredient doesn’t actually ferment at the bottom of the vessel. What happens is that it doesn’t quite rise to the top as ale yeast does, and later settles to the bottom as fermentation ceases. Lager yeast is a lot less hardy than its ale counterpart. This fragility means that it only thrives under a limited set of conditions. However, this also results in more varied types of brews. Another key difference between ales and lagers is the temperature at which fermentation takes place. The former is generally fermented in warm temperatures, while the latter is fermented in cold temperatures. Ale typically ferments in the 60° to 75°F (16° to 24°C) range. Some saison strains may even ferment at much higher temperatures of 95° to 100°F (35° to 38°C). Lagers, for their part, ferment at temperatures of 45° to 55°F (7° to 13°C). That being said, it will ferment quite well in temperatures normally reserved for ales. In fact, the yeast is typically propagated at room temperatures, rather than cold. Ales and lagers are each made using different strains of yeast. Simply put, lagers are brewed using bottom-fermenting strains of yeast held at colder temperatures, while ales are brewed with a top fermenting yeast that operates at warmer temperatures. Ales generally have a much higher alcohol content than lagers. 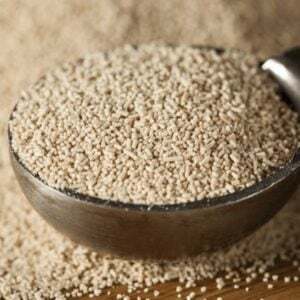 The reason for this goes back to the type of yeast used in its production. It is better able to withstand a high-alcohol environment. It stands to reasons therefore that the resulting brew will have a higher alcohol content as well. In contrast, lager yeast is slower-acting and more fragile. It also produces less alcohol simply because it can’t survive in high-alcohol environments. Logically, the former will have lower alcohol than ales. In terms of flavor and appearance, ales and lagers are quite easy to tell apart. Ales are usually darker in hue and have a distinctively cloudy appearance. Although fruitier and more robust, ales also tend to have more pronounced bitterness in the flavor due to the higher hop content, and the faster and more thorough fermentation process. Lagers, on the other hand, tend to have a light and clear appearance. The flavor is generally described as being smoother and sweeter, with a distinctively crisp flavor. These flavors are attributed to the higher sugar content, as well as the slower fermentation process. After that, the cold treatment, and additional flavors further affect the taste and appearance of the final product. 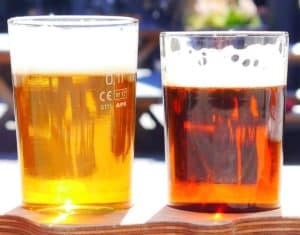 When the subject of lager vs ale comes up, more focus is invariably given to the yeast used, the fermentation process each type of brew undergoes, and their distinct flavors and appearances. But both brews developed in different ways as well, and their histories have in fact played significant roles in the comparison of their unique qualities. Generally speaking, all beers contain the following ingredients: water, grain, hops, and yeast. However, a German law passed in 1516 actually limited the ingredients to malted grain, water, and hops. Although it was an essential part of the brewing process, it had yet to be identified for its role in fermentation. This limitation actually played a significant role in the development of lagers. Although some experimentation undoubtedly took place among local brewers, the ingredient list remained pretty much the same for centuries. Ales were never subject to these constraints. As a result, a lot more varied types of ales were developed around the world. This is why the ale universe today consists of everything from IPAs to stouts, with a multitude of other styles and varieties available as well. 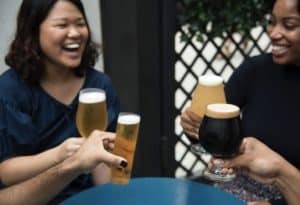 As you can see, ales and lagers have a number of distinct characteristics that make them as different from each other as any two brews could be. Despite their differences, however, they have a number of similarities as well. 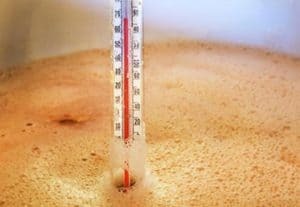 In particular, the former–although typically fermented at cold temperatures–can be brewed quite effectively in warmer temperatures. In any case, going by taste and appearance is a good way to tell the two apart. But really, what is ale? This is the type of beer that is usually darker and have a stronger and more robust flavor. They also usually have higher alcohol content. Lagers on the other hand tend to be lighter and clearer, with a smooth and crisp flavor, and lower alcohol content. With so many fine brews on either side of the fence, there is no reason why you shouldn’t be able to enjoy a nice, crisp lager one day, and a heartier, robust ale beer the next. In the end, it really is down to personal preference, and you can hardly go wrong with either one. Now that you know the differences, maybe it’s time for you to learn how to brew your very first lager or ale. 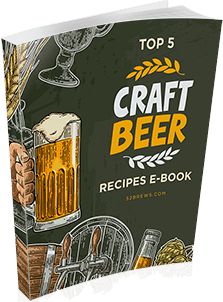 Luckily we have our very own guide on how to brew beer at home. Next Post Hydro Flask Review: Is This Stainless Steel Insulated Growler Worth Buying?